In the spring of 1945, Winston Churchill asked his military chiefs to draw up a secret plan to invade the Soviet Union. They devised a bizarre proposal dubbed ‘Operation Unthinkable’, an apt name for what would have surely sparked World War III. For many historians, it served as the catalyst for the Cold War, the US- Soviet conflict that lasted forty-five years. Operation Unthinkable is also the name of Lia’s plan to get to the bottom of what’s gone wrong in her marriage to Tito. For her, the conflict lasts forty-three agonising days. Operation Unthinkable follows the five-year relationship between Lia, a Cold War historian, and Tito, a computer programmer. Their routine is peppered with witty emails, inside jokes, movie marathons and hotly contested board game battles, sketching a seemingly perfect love story. But good times give way to bad, and little by little the book reveals the unhappy spiral into the couple’s own cold war: tenderness and affection give rise to distrust, paranoia, tensions and threats. There is no openly declared battle, but something seems always ready to explode. Armed with biting wit and an arsenal of hilarious pop culture references, Vanessa Barbara draws a clever parallel between the Cold War and the slow disintegration of a marriage. Evocative of the work of Jenny Offill and Rachel Khong, this brutally honest and modern anti-love story presents the reader with an almanac of Lia and Tito’s relationship, piecing together the puzzle of a failed marriage. 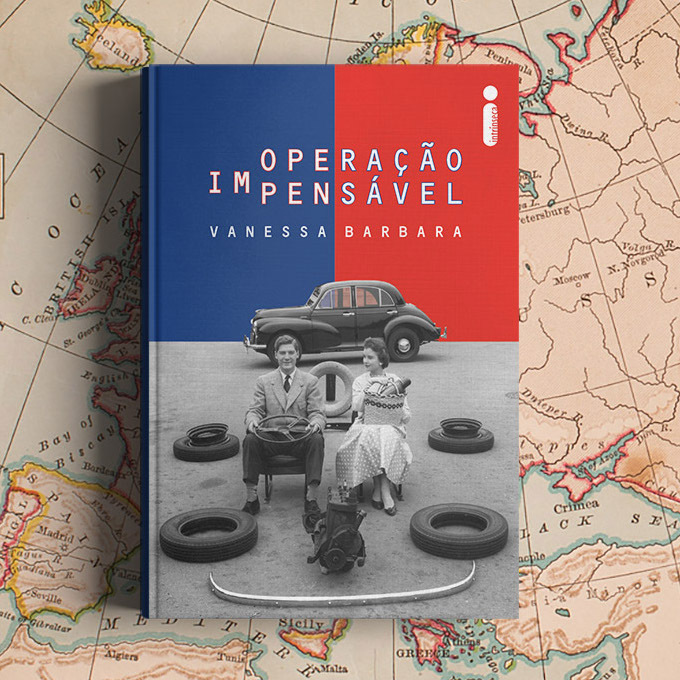 Vanessa Barbara is a writer, translator and journalist living in São Paulo, Brazil. Winner of the 2009 Jabuti prize for journalism, she pens a regular column for the New York Times, and in 2012 she was selected by Granta as one of their Best Young Brazilian Novelists. Her work has been translated into six languages. Operation Unthinkable is Vanessa Barbara’s sixth book and her third novel. In 2014 it earned the Prêmio Paraná de Literatura.